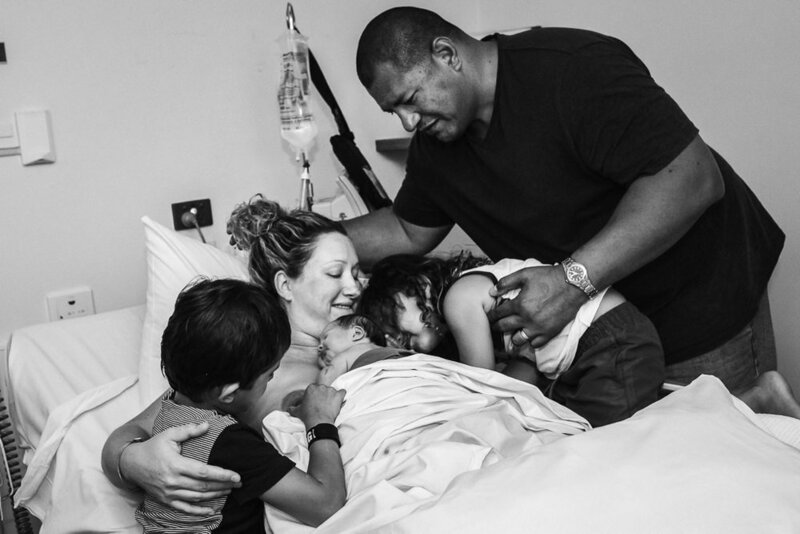 "Leilani's birth journey was borne from the experiences that I had with our first and second children and also our third pregnancy. Our eldest son's birth started with premature prelabour rupture of membranes (PPROM) at 36+3 and ended over 3 days later in a emergency caesarean for failure to progress. 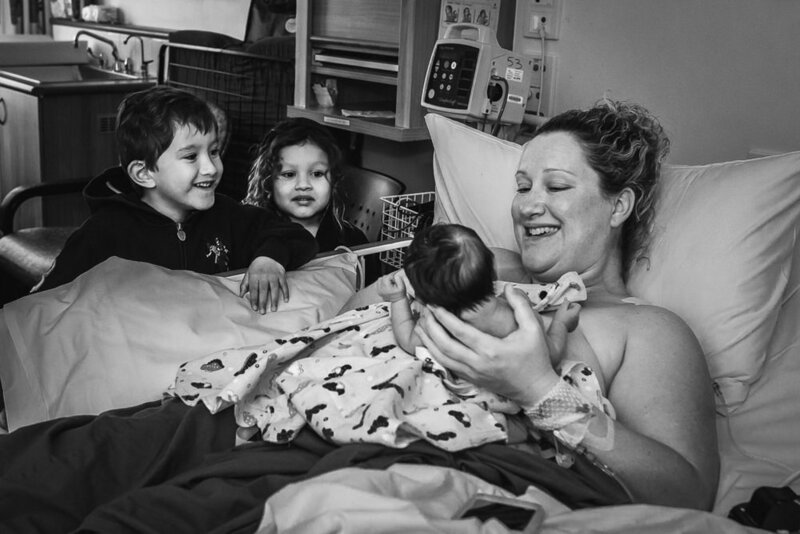 Our second son's birth I wanted it to be completely different so we planned a HBAC (Home Birth After Caesarean). This labour started at 40 weeks with prelabour rupture of membranes. I labored happily at home for the better part of a day but we had to transfer and it again ended in a caesarean for failure to progress. My third pregnancy ended in miscarriage at 11 weeks but I had wanted to plan another try for a VBAC with that pregnancy. With my fourth pregnancy I was undecided about what I wanted to do. I never thought I would book an elective c-section. I was so torn. I desperately wanted a natural, vaginal birth. But the prior miscarriage made me so much more focused on the end result of the baby. I wanted to make this birth as happy and positively empowering as it could be. 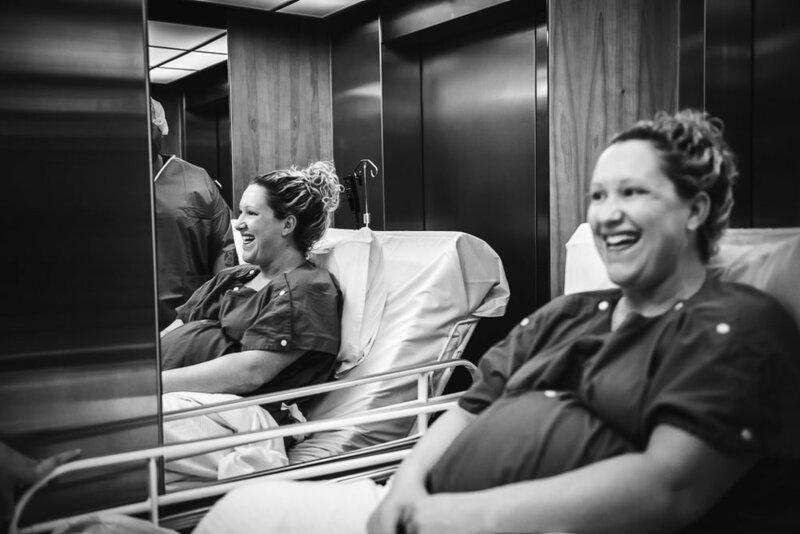 With my prior history of PROM hindering my labours I ended up deciding that a maternal assisted Caesarean section (MAC) would be the best way of achieving the positive birth goal. I think I came to this decision by working out what I ultimately wanted out of any of my births. I wanted to be able to put my brand new, wet and slippery baby on my chest! I think that is the best moment of any birth and something I never had with my boys. So I set out finding an Obstetrician (OB) who would support my decision. 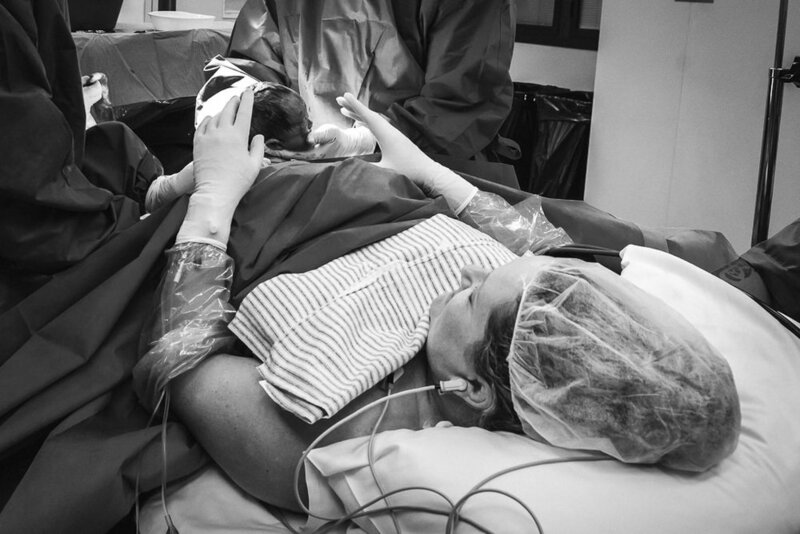 I also decided I wanted to have this birth documented by an amazing photographer, Belle. The first OB I found who would allow a MAC worked in the public sector. But the public hospital wouldn't allow a photographer to be with us in theatre. So I found another OB with a very understanding midwife as part of his team. She helped advocate for us and was a huge help in getting the allowance from the private hospital to have our photographer in theatre with us. So we again relocated to Perth at 36 weeks just incase of PPROM. 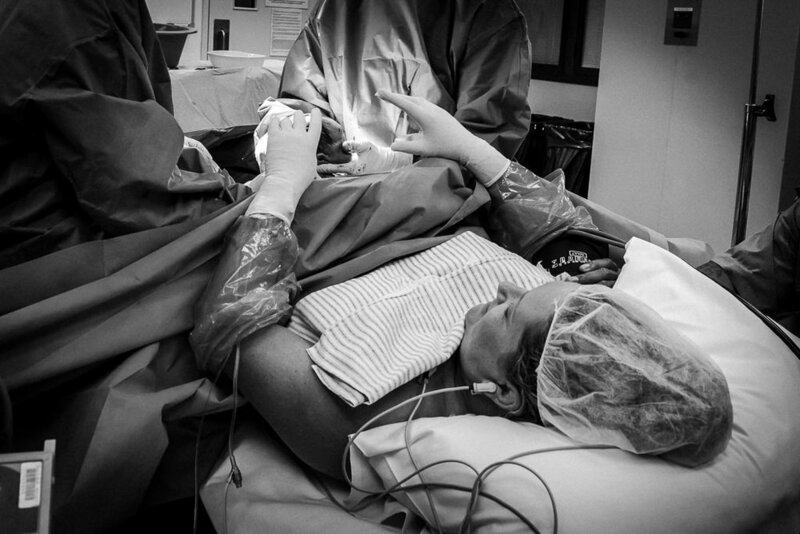 Our OB was open to most of my requests: MAC, photographer in theatre, leaving the placenta attached and seeding. 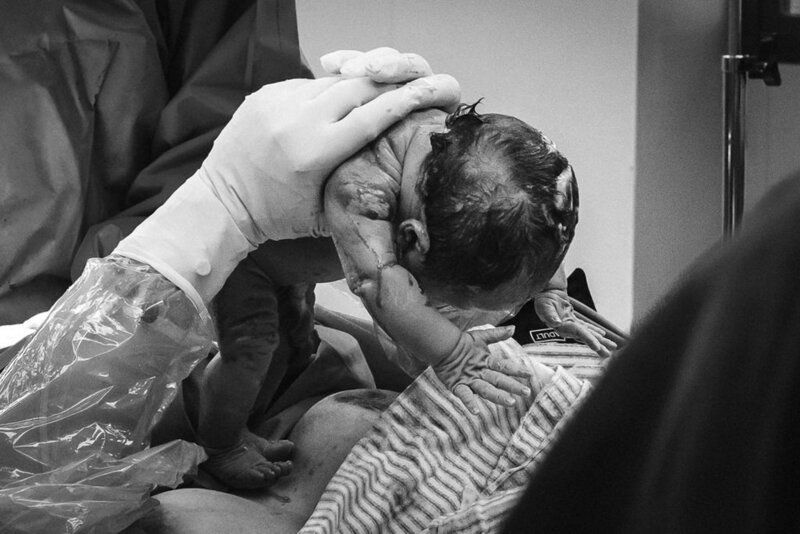 We planned the caesarean for 39 weeks which I was happy with. On the morning of the 14th March 2017 we arrived at the hospital at 6am. Belle met us there. I was nervous but excited! We went through the checking in process which ended in the day of surgery unit where I changed into the hospital gown, did my vaginal swabs for seeding and readied everything we needed to take upstairs with us, the birth plan and a little crocheted cord tie. Belle and John got changed into their paper scrubs. I was starting to get much more nervous! Thankfully I was first on the theatre list due to us having the MAC. The orderly came to wheel me up to theatre and she was lovely making us laugh a lot. More checks and then into the anaesthetic bay. The IV was put in my arm which confused me as I assumed I'd be needing to scrub. Then the epidural was placed and I was even more confused wondering how I'd wash up! Catheter was inserted and some jokes made about us having photos of the catheter being placed and then I was wheeled into theatre and transferred over to the operating table. I reminded the theatre nurse that I was having a MAC and what about my gloves? She went and spoke to my OB and came back with some shoulder length red unsterile gloves and regular surgical gloves for over the top which the scrub nurse assisted me to put on. She prepped my belly while I held my hands up and then they draped. I had requested prior to this day, that the drape be down for the whole procedure but they put it up. I'm not sure if he forgot but I didn't really mind too much. I was getting very nervous at this point and my husband John could tell. He was holding my hand and he leant closer to my face and was whispering, "just breathe" and coaching my breathing. I closed my eyes and listened to him and slowed my breathing and concentrated on that. Funnily enough, I'm a theatre nurse and I do not ever get queasy or nervous about other people's surgeries. 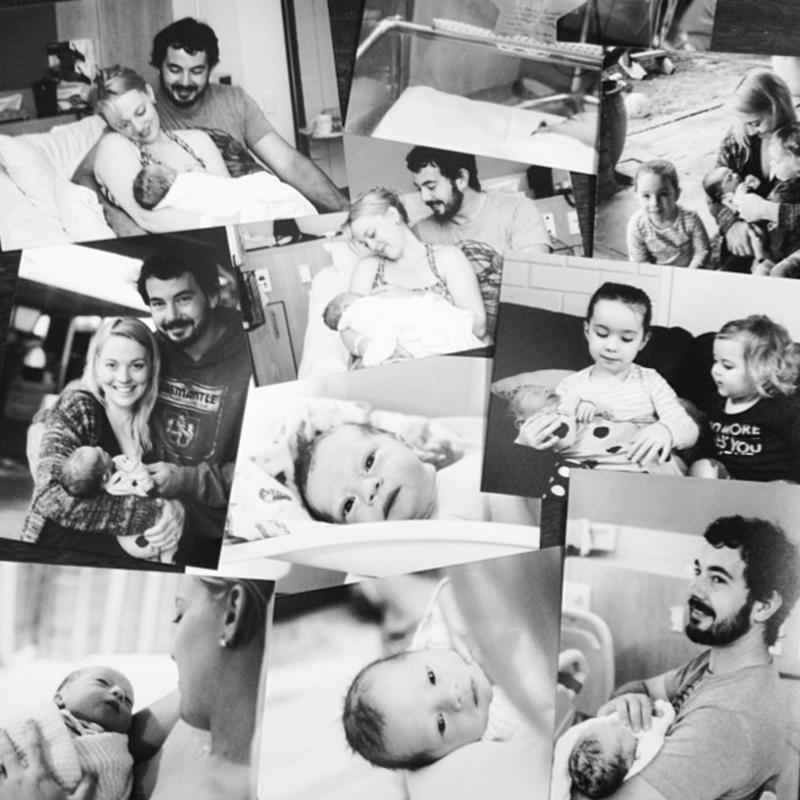 But it was probably the thing that worried me the most about this birth; that I was planning this amazing MAC but what if I was so nervous that I couldn't go through with it on the day! My husband saved me here! Without him talking me through this part I would have had such an adrenaline surge that I would have been vomiting when it came time to do my part! More coached breathing through the tugging and pulling and then the drape dropped down and my OB guided my hands down and I felt my baby's head and shoulders all warm, wet and slippery. My hands were guided under her arms and I lifted her up! I lifted her right up above my face! She dripped some fluid on my face! This is what I wanted - birth is messy! She was still in the shape she would have been inside - her legs drawn up and chin down, although she didn't look too happy at being out of her home. I wanted her on my chest but a warm blanket had been placed there so that I wouldn't get cold. I put her down on my chest then lifted her up again thinking I could remove the blanket but I obviously hadn't thought that through as I needed 2 hands to hold the baby! I looked at John thinking he could remove the blanket and he was crying. So I placed her back down and very quickly someone else removed the blanket from beneath her and we were skin to skin, with her wet and slippery and naked! I couldn't believe I had done it! I looked at John and he was wiping tears away. I was crying too. 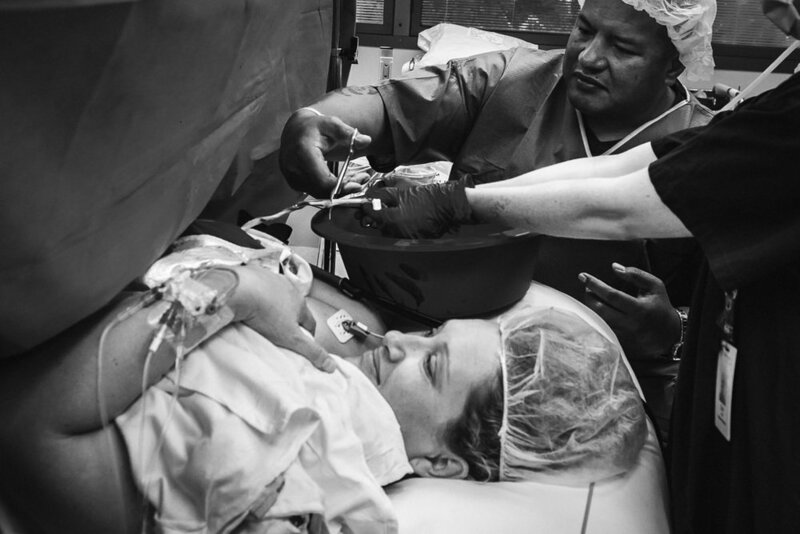 Very soon after the OB handed John a bowl containing the placenta which was still attached to our girl! A nurse helped remove my gloves and warm blankets were piled on top of us. I know I kept looking at John and saying "I did it, we did it! It happened!" 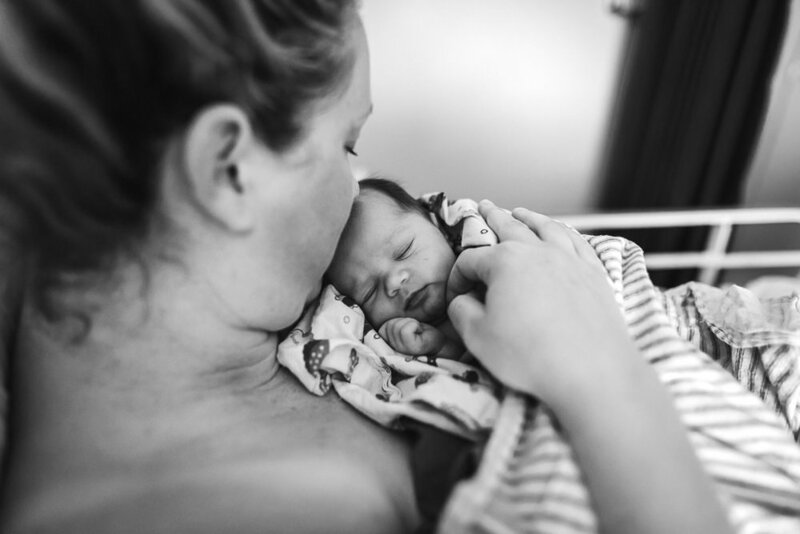 I was so ecstatic, my baby was on my chest just as I had planned, I could feel her incredible warmth and touch her soft skin that only minutes earlier had been snuggled safe inside me for 9 months! The cord went white very quickly and John got to clamp and cut the cord to separate our baby from the organ that helped to grow her. Something I wanted so much for him! With all his other children he had only been able to cut the remaining stump of cord that was left after the surgeon cut it. The surgery was over quite quickly and John got to hold her for the first time as they transferred me off the table. Into recovery and back on my chest she went. 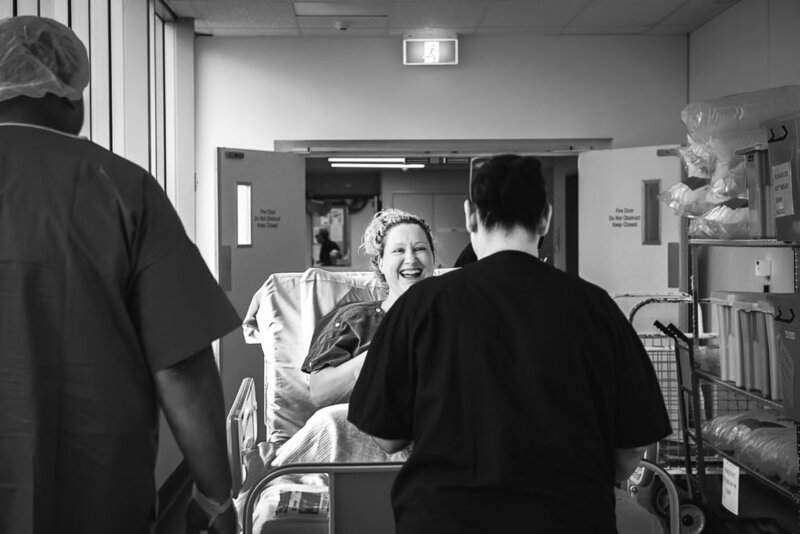 The midwife that was with us in theatre and recovery was amazing! She had no problem in helping us tie on the little cord tie! Baby had a feed and she was weighed sometime while we were in recovery. The paediatrician was happy to wait to see us back on the ward, so she wasn't taken away for more checks as is normally done. We kept the placenta to be encapsulated by Kristin who had been my doula for the birth of our second son. We weren't in recovery too long before being taken back to the ward with baby on my chest the whole time. We were entranced checking out every detail of her. I'm not sure if it was the epidural or the adrenaline wearing off or maybe it was the oxytocin but I was hardly able to keep my eyes open! After a couple of early visitors left, Belle also left and John went to go pickup the boys from school. I had a sleep with baby on my chest and also wiped her face with the swabs I'd taken earlier. After a couple of hours they were all back and I'm so unbelievably thankful Belle was there to document the boys meeting their little sister for the first time. Their reactions were priceless! They were as entranced as we were and loved it when I unwrapped her to show them her little hands and toes and umbilical cord! Leilani didn't get her name until she was 2 days old! We were so prepared with our boys and they had their names well before they were born. 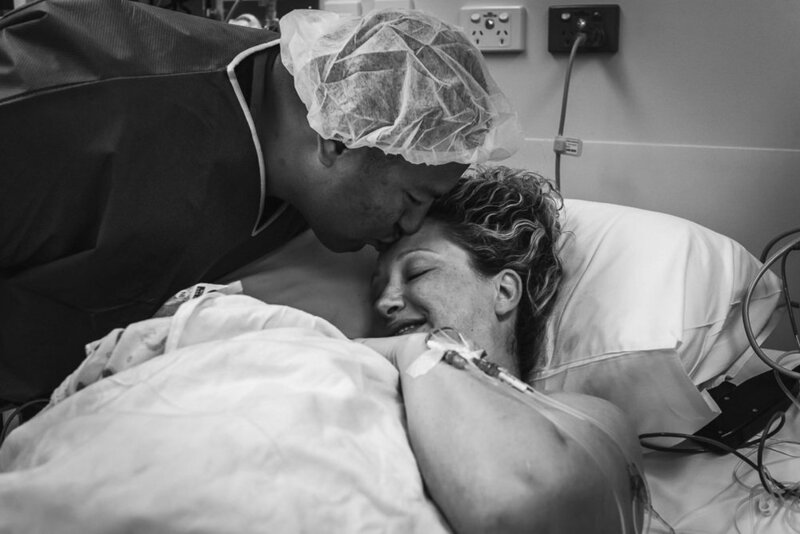 My recovery from my MAC was a lot easier than my emergency Caesarean recoveries because I went into it rested rather than being in labour for days. I felt pretty normal after the first week. I was driving in my second week post op. I'm so happy I chose this option for the birth of our last baby. 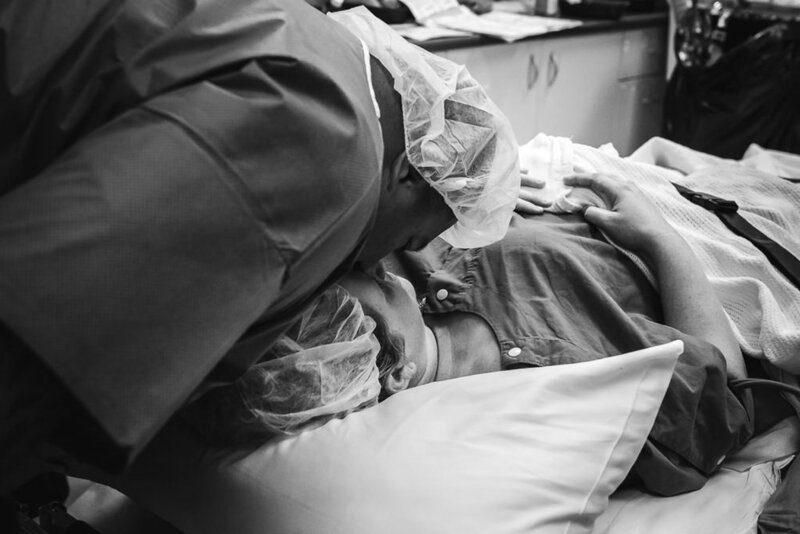 Although it is sad that I'll never experience the natural birth I used to yearn for, I had such an amazingly empowering and positive birth experience with this maternal assisted Caesarean. 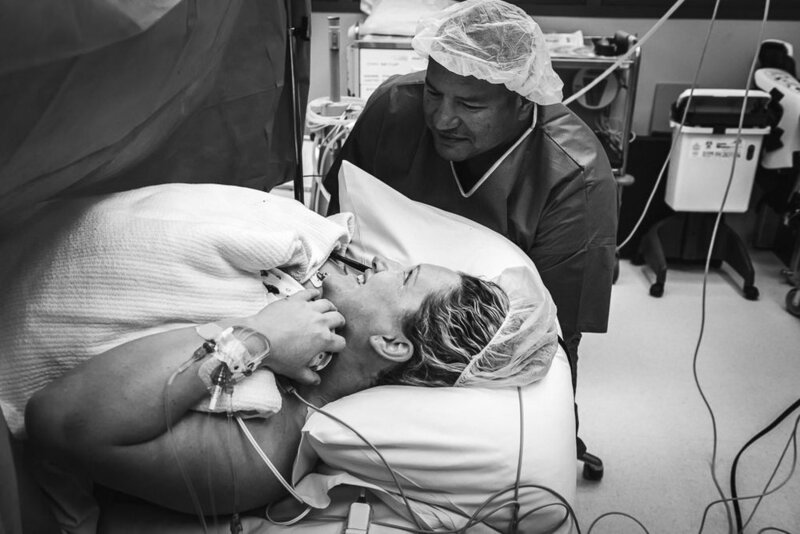 I would encourage anyone who wants to feel more involved in their Caesarean to look into having a MAC. It was so perfect for us!"